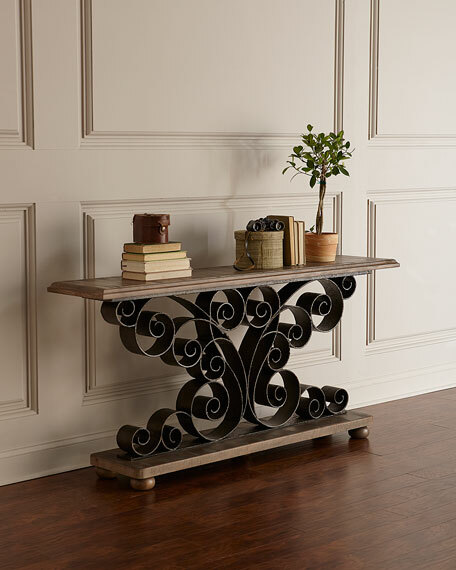 This versatile console table features a graceful metal base with ribbon scrollwork in a antiqued dark bronze/gunmetal finish. 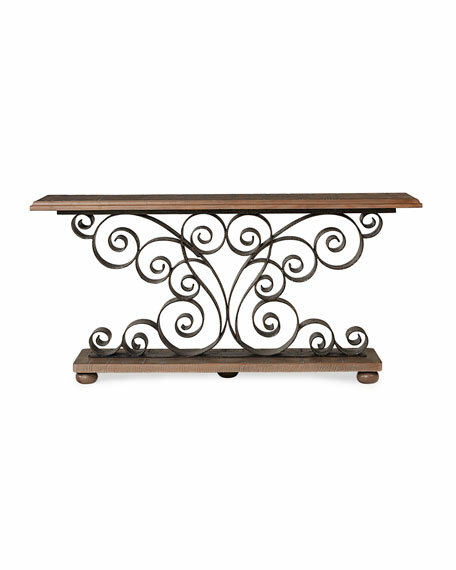 The natural wood tone top features hand antiquing, physical distressing and natural hallmarks of the wood. The perfect solution to any niche in the home. Metal, resin, and hardwood solids. Assembly required to attach top and base to scrollwork. 66"W x 15"D x 32"T.
Boxed weight, approximately 267 lbs.